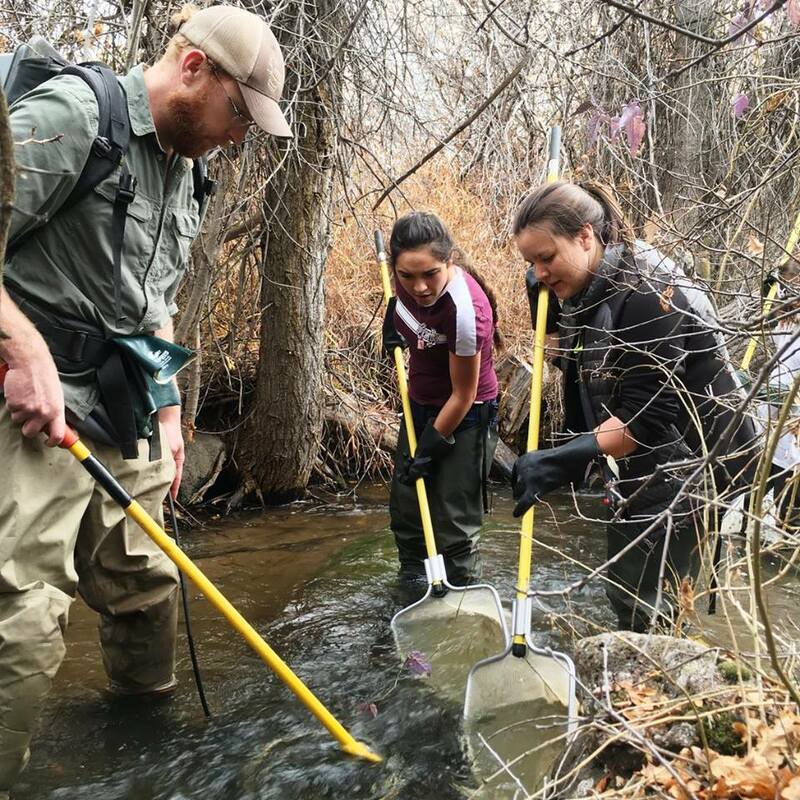 From October 25-28, sixty students, teachers and citizens from all across Colorado came together at the 2016 River Watch training in Cedaredge, CO to learn how they could make a difference in their local watersheds. New River Watch volunteers were trained in the basics of water sampling and the importance of monitoring Colorado’s watersheds. They spent four days learning about indicators of healthy streams, including tests for alkalinity, hardness, dissolved oxygen and pH, while having lots of fun along the way. After electro-fishing and collecting macroinvertebrates, students ages 8 to 18 marveled at the abundance of aquatic life in even the smallest of creeks. At the end of the week, students shared what they learned, and how they would bring this program home to their schools. After completing the training, these volunteers can now return to their rivers and streams to start sampling and collecting high-quality data.